We understand how important it is for websites to appear in the Search Engine Rankings, but it's not something that happens overnight. Lets jump in to the deep end here with 5 honest truths about Search Engine Optimisation . Just getting your website live will not put you No.1 in Google (for key searches). 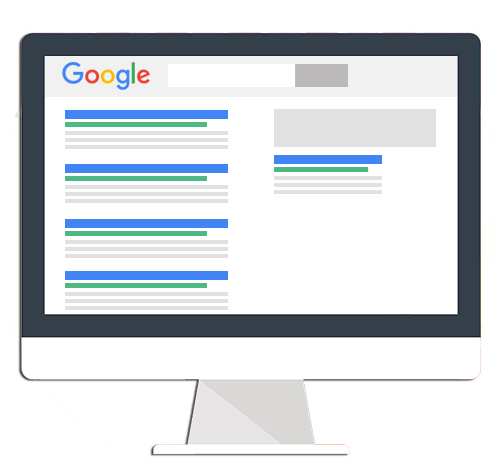 It takes months, even years before a website can get to the top page in Google and those already there have spent the time and money to achieve these results. To get ranked on the first page you need to update your website more often than your competitors with regular keyword rich content and meta data added to your website. No one will ever find a website for a service that is not constantly talked about across a website. If you want to be found under 'Web Design Southampton' but have no mention of these 3 words either together or separately on your site, Google will never promote you under this search. All websites are on the first page in Google but ONLY when you search for a specific domain. Getting to No.1 in Google for a service you provide or area you work in is something completely different. SEO is completely FREE, you don't have to pay through the roof for it and whatsmore, it's easy to do, you just need to be able to update your own website (which with us you can). Google wants fresh content, up to date news about your business, blogs, active Social Media accounts and as much content as possible about who you are, where you work and what services you provide. You, or anyone you ask to do it for you, can do all this within your Toolkit. If you are just assuming your website will appear under 'X Services in X location' but you haven't factored this in to your domain, content, meta descriptions etc then it just wont happen. This is not the responsibility of your Web Design company, this will form part of your company's marketing plan as you'll need to list the top 5-10 searches you want to appear under in Google and gear your website for this type of traffic.